A Nigerian soldier identified as Nweke Chidiebere Emmanuel, who has been reported missing by his family since Boko Haram's ambush in Maiduguri, capital of Borno State, last month, was confirmed dead. 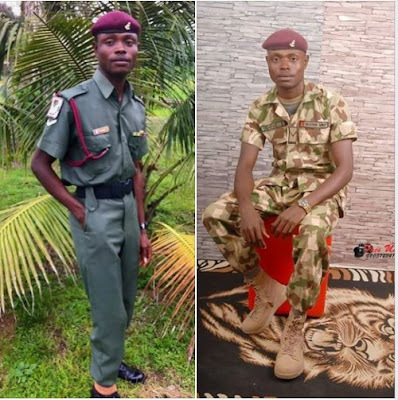 The brave soldier who served at the Ojo jail in Lagos before being posted to Maiduguri to fight Boko Haram - was buried by his family. "We confirmed it, my brother is really dead and already buried without the presence of members of his family, he was buried with other officers, 36 of them," said the family. That his soul rests in peace.